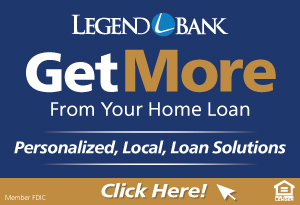 If there’s one thing nearly everyone knows about country-music legend Loretta Lynn, it’s what her father, Ted Webb, did for a living. Like any man struggling to provide for a family during the Great Depression, he took work wherever he could find it, but his primary job was in the mines of the Consolidation Coal Company in the rugged mountains of eastern Kentucky. Ted and his wife, Ramey, raised eight children in their small wooden house in Johnson County, including the most famous coal miner’s daughter in the world, who was born on this day in 1935. As she sang in her autobiographical 1971 country hit, “Coal Miner’s Daughter,” Loretta Webb grew up dirt poor but well-loved and taken care of by her hardworking parents. She adored music and sang in church choirs as a child, but childhood did not last long for Loretta, who was married at the age of thirteen and left Kentucky for the logging country of Washington State with her husband, Oliver “Doolittle” Lynn. She was already a mother of four when she got her first guitar at age 18 and began to teach herself to play and write songs. Her next big move came at the age of 25, when Doolittle and Loretta’s tireless promotion of her first record, “I’m A Honky Tonk Girl,” got Loretta enough attention to warrant a move to Nashville, where she signed a contract with Decca Records. “Success” was the aptly named song that gave Loretta her first top-10 country hit in 1962, at the age of 27. Loretta Lynn’s record sales and chart performance over the next two decades were enough on their own to qualify her for genuine “legend” status among country singers, but her contribution to the genre went beyond mere popularity. As a woman writing much of her own material and writing it from a strong, feminine perspective, Lynn helped transform the role of women in country music. 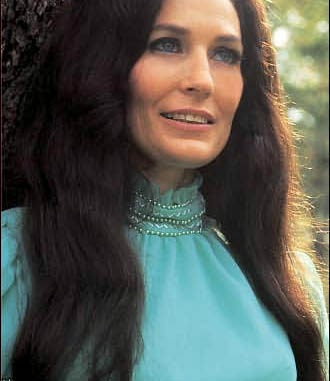 Songs like “You Ain’t Woman Enough” and “Don’t Come Home a Drinkin’ (With Lovin’ on Your Mind)” (both 1966) introduced a new kind of female narrative to country music while also giving Loretta Lynn two of her biggest hits. While Loretta Lynn’s popularity waned in the 1980s and 90s, she made a creatively triumphant return with her 2004 album Van Lear Rose, produced by Jack White of The White Stripes and named for a mining community near the place she was born on this day in 1935.